Fugitive businessman Nirav Modi, who has been on the run since February 2018, has reportedly been arrested by the UK authorities. He will be taken to the Westminster court today only, reported India Today. 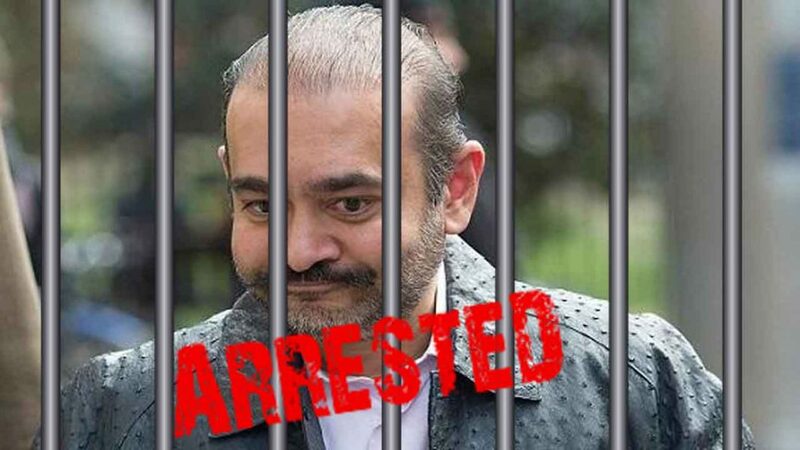 “Nirav Deepak Modi, 48 (Date of Birth 24.02.71), was arrested on behalf of the Indian Authorities on Tuesday, 19 March, in Holborn,” the Metropolitan Police said, confirming the development that Nirav Modi had been arrested. “He will appear in custody at Westminster Magistrates’ Court on Wednesday, 20 March,” the statement added. Over the last weeks, Nirav Modi was sighted in London twice, but he had brushed off reporters’ questions with a “no comments”. Nirav Modi was living on half a floor of the Centre Point Tower Block, in an apartment whose rent is likely to be around Rs 16 lakh, some reports said. Enforcement Directorate gets permission from PMLA court in Mumbai to sell 173 paintings. 11 cars to also be auctioned. 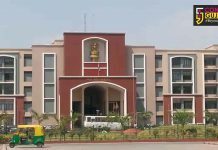 NBW has been issued by PMLA court against Ami Modi, wife of Nirav Modi ,Ed report said.